Download Group 2A 2017 Answer Key in PDF. Date of Publication of TNPSC Group 2A Answer Key by TNPSC.Academy : 06.08.2017. 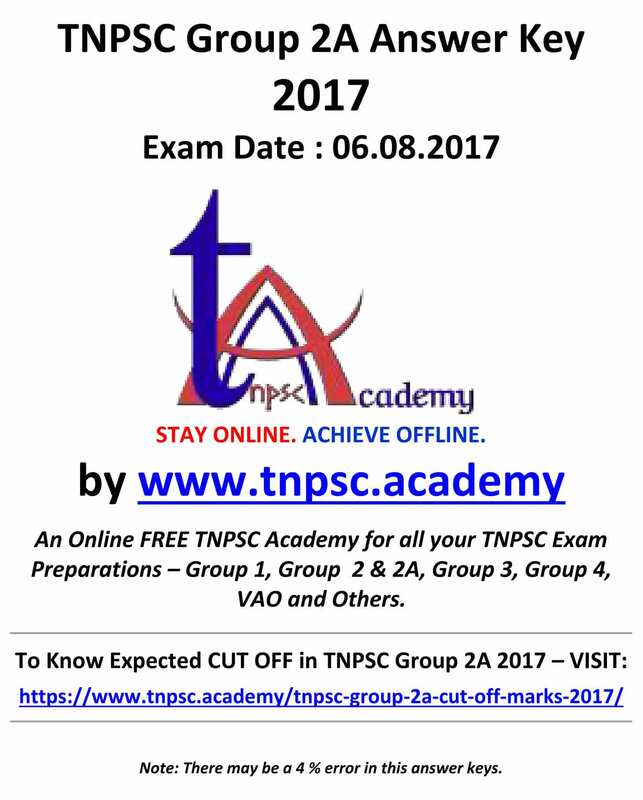 Check your Answers for TNPSC Group 2A exam 2017 and Estimate your Group 2A Cut Off with the Most Authentic Answer Key by TNPSC.Academy. Cut off will be published within two week (at the maximum), after analysing all parameters. Pls note that, It takes much time to collect all needed data and analyse everything, so that we can give the most reliable cut-off. Tamil Nadu Public Service Commission (TNPSC) is conducting the TNPSC Group 2A exam for recruiting civil servants for the Group 2A posts in the State of Tamil Nadu. The Group 2A Exam 2017 notification was released by TNPSC on 27.04.2017. The TNPSC Group 2A Exam is conducted for the posts of Assistant (Ministerial Services) in Various Departments. 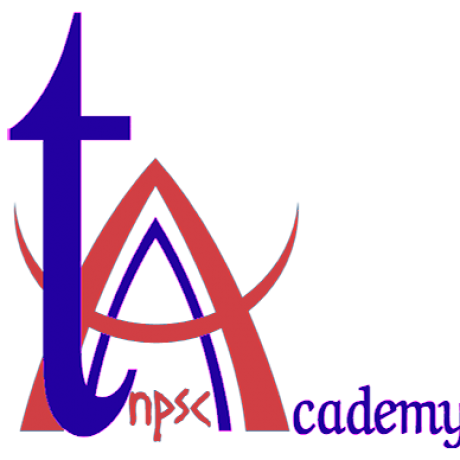 How to Prepare for TNPSC Group 2A Exam? The TNPSC Group 2A Exam consists of Objective Type Exam and then selected candidates are called for Counselling. The Objective Type Exam has 200 Questions.